The common denominator: wood. We’ve got an eye on this upcoming sale which features some of the best in wooden design available on the market. 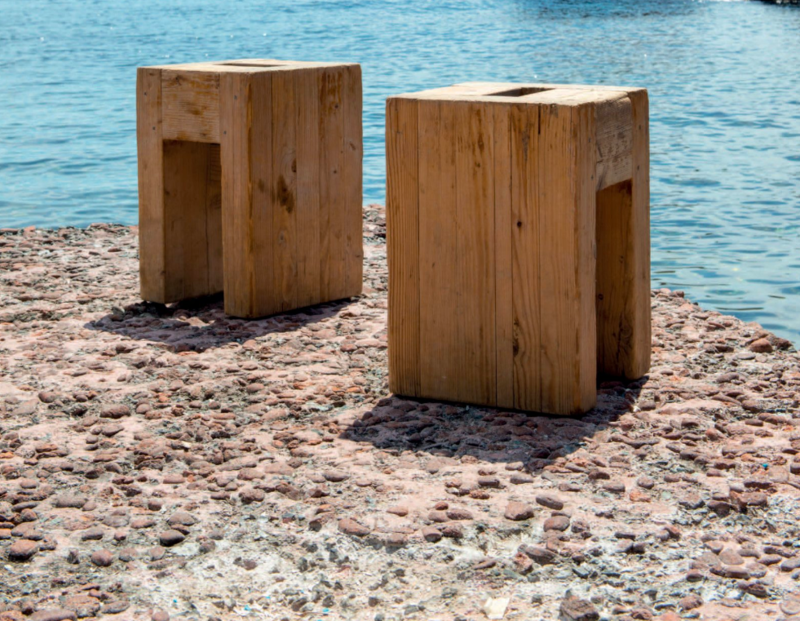 The use and existence of wood in our furniture is widely known – and is hard to escape. Everywhere you turn you’re bound to find beautiful wooden furnishings, from tables and cabinets to credenzas, wardrobes, bed frames, chairs, desks, racks and frames, not to mention doors and panelling. It’s unsurprising that wood as a medium remains a staple across so many British homes. Its range of colours can be perfectly paired and blended to fit any room, and its fiery hues help to warm up homes in the cold seasons. If you’re suddenly taking notice of largely under-furnished spaces in your home, not to worry – French auction house Aguttes has come to the rescue. They have a wide variety of wooden objects, of any and all styles, sizes and purpose, in their forthcoming Design auction to be held on 24 September. Though we’ve got an eye on many pieces in the Aguttes sale, for the sake of readers at home we’ve managed to narrow it down to our favourite few. To begin, we couldn’t go past this stunning Pierre Jeanneret (1896-1967) c. 1960 desk made from teak and leather. Measuring 72 x 137 x 69 cm, its exquisite modern design utilises pockets of space and geometric angles, combining seamless design with function to shape up any office. 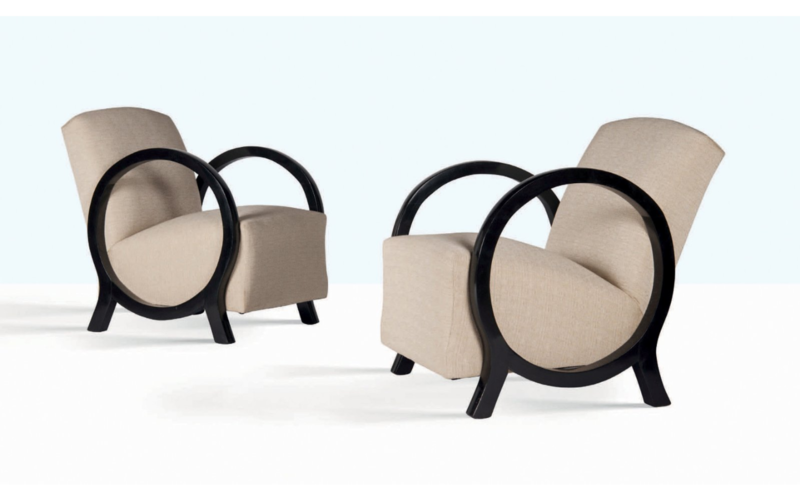 Moving on to chairs, this pair of Jacques Adnet (1901-1984) c. 1930 armchairs are effortlessly sleek with 360 degree beech wood armrests, offset by a soft beige-caramel linen body. Another 1930s piece, though in an entirely different style, this exceptional chair by Japanese designer Ubunji Kidokoro is famous for its elasticity and cantilevered form, effortlessly hovering mid-air. 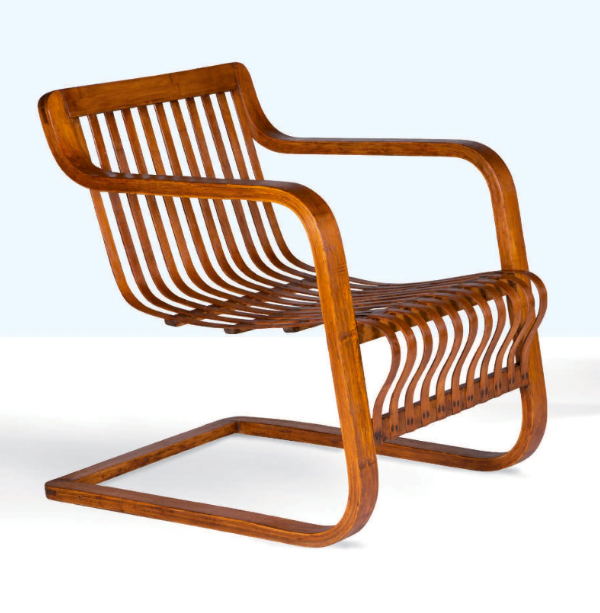 The bamboo and brass chair is from 1937 and measures 67.5 x 53 x 70 cm. 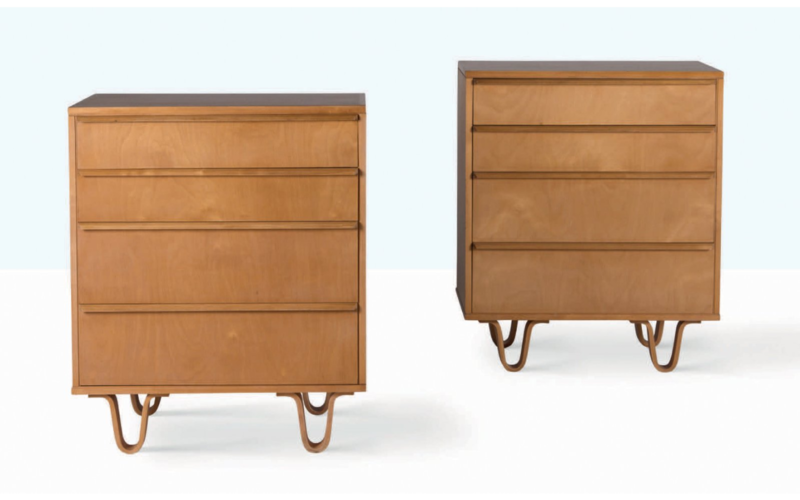 This pair of birch chest of drawers are also typified by their designer: after a trip to the United States in 1947, Dutch designer Cees Braakman (1917-1995) became largely influenced by Charles and Ray Eames and the Herman Miller Company. Braakman’s popular furniture thenceforth became marked by its clean, elegant lines, as exemplified here in these drawers, and a well-proportioned sense of space, tailored to smaller living spaces. 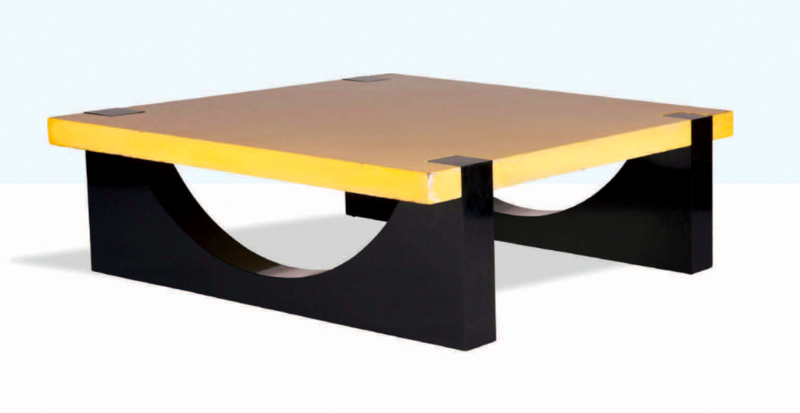 Finally we finish with this Serge Manzon (1930-1998) coffee table. 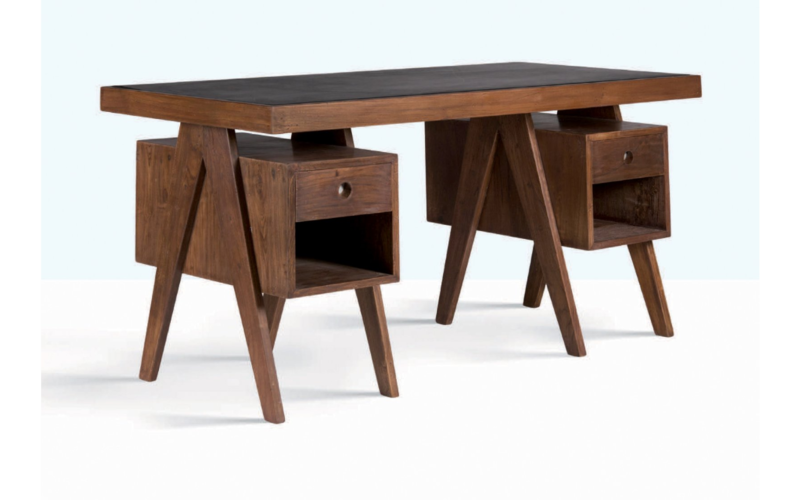 A c. 1970 piece, this table epitomises the forward-thinking design of the era: a deep, dark tone offset by a lighter hue, strong and geometric lines, bold angles and curved angles through space. 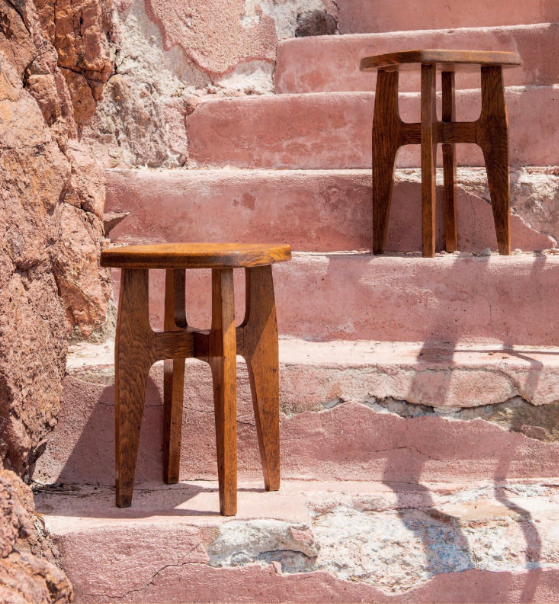 Whether you’ve got your heart set on oak, maple, mahogany, teak, walnut, cherry or birch, Aguttes have the highest quality woods available in all styles in their forthcoming Design auction.